The importance of sport in developing a spiritual life: the John Paul II way! The late Pope John Paul II was known for his love of sport as a means of building spiritual character through excellence in sporting skills and fitness, discipline and self-sacrifice. In his life and teachings, Pope John Paul II showed that he believed in sport not as an end in itself, giving rise to the danger of becoming a vain and harmful idol, but as an instrument given by God for the spiritual and comprehensive development of the person: “Every sport, at both the amateur and the competitive level, requires basic human qualities such as rigorous preparation, continual training, awareness of one’s personal limits, fair play, acceptance of rules, respect for one’s opponent and a sense of solidarity and unselfishness”. Throughout his youth he was passionate about many sports including football, mountaineering, skiing and swimming. It is recorded that, when he was at school in Poland, during football matches between Jewish and Catholic groups he would often volunteer to play in goal for the Jewish team. During his papacy he continued to run, climb and swim in private until ill health overtook his physical abilities. 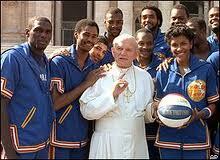 Pope John Paul ll’s legacy includes the John Paul 2 Foundation 4 Sport. This was launched by Pope Benedict XVl during his visit to Britain in 2010. The new Catholic charity has since October 2012 been promoting sport as a catalyst and conduit to enable all people to embrace a greater vision of, and higher values for, themselves and those around them. In fact it is fair to say that John Paul 2 Foundation 4 Sport was building on the London Olympics ‘legacy’ well before the 2012 summer of sport. When everyone was talking about legacy we were doing it! The charity’s aim is to make use of sports grounds and facilities belonging to catholic schools and colleges across the country with spare capacity to offer. These are being organised to provide opportunities for young people, who have no access to existing clubs or teams, to channel their energies into constructive, healthy sporting activities, thereby improving their own lives and performance and helping others to achieve their potential. The dream is to generate as many new sports facilities as possible so that young people can get off the streets and play a sport – ‘from gangs to clubs’. The Sports Squared initiative at Sion Manning offers football to girls and primary school children; dance for primary and secondary school girls and basketball to the VI Formers at St Charles VI Form College. At Cardinal Wiseman 50 students- 30 boys and 20 girls – are trained by coaches from Brentford Football Club which has just won the Award as Community Football Club of the Year 2014. Assemblies have been delivered in the schools as the Foundation seeks to integrate the 12 virtues of JP2 into the lives of the children. Which single author contributed the most books to the Old Testament? 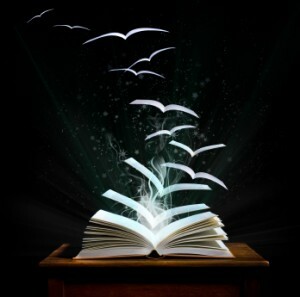 Which single author contributed the most books to the New Testament? What is the youngest book in the Old Testament? What is the oldest book of the New Testament? What is the youngest book in the New Testament? The Book of Revelation is the youngest book of the New Testament, written about 95 A.D.
What languages was the Bible written in? When was the Bible canonized? “Canon” is derived front the Greek word “Kanon,” signifying a measuring rod. Thus, to have the Bible “canonized” meant that it had been measured by the standard or test of divine inspiration and authority. It became the collection of books or writings accepted by the apostles and leadership of the early Christian church as a basis for Christian belief. It is the standard by which all Christians throughout the ages live and worship. 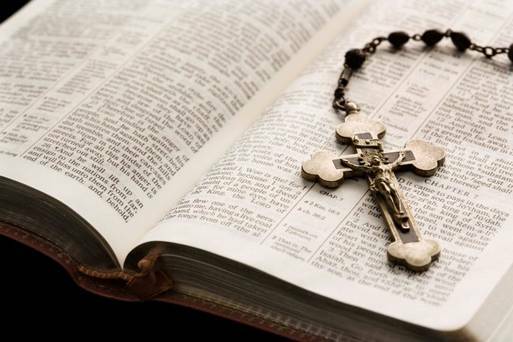 When was the first translation of the Bible made into English? 1382 A.D., by John Wycliffe. When was the Bible printed? The Bible was printed in 1454 A.D. by Johannes Gutenberg who invented the “type mold” for the printing press. It was the first book ever printed. What is the oldest almost-complete manuscript of the Bible now in existence? The Codex Vaticanus, which dates from the first half of the fourth Century. It is located in the library of the Vatican in Rome. There are older fragments of the Bible that are still preserved however– the oldest being a tiny scrap of the Gospel of John was found in Egypt, dating back to the beginning of the second century. (It is currently in the Rayland’s Library in Manchester, England). Who was the oldest man that ever lived? Who were the two men in the Bible who never died but were caught up to heaven? Enoch, who walked with God and was no more (Genesis 5:22-24). Elijah, who was caught up by a whirlwind into heaven (II Kings 2:11). 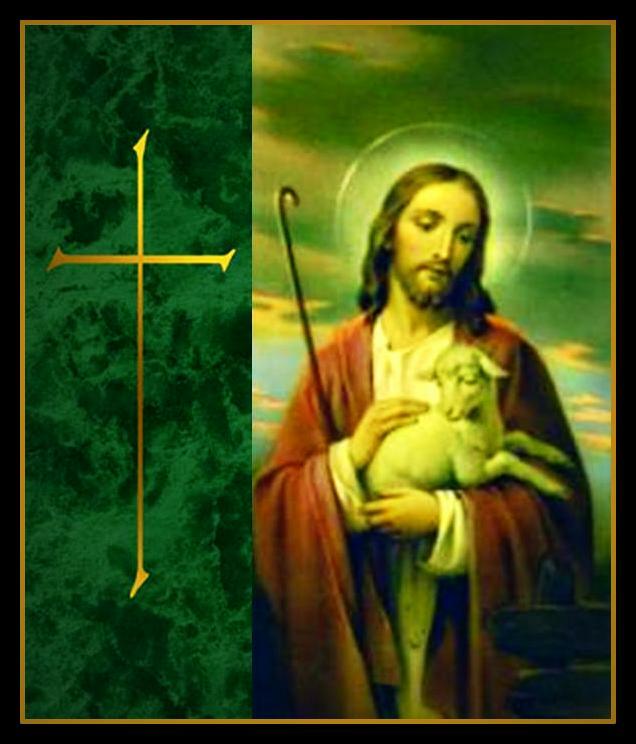 Who does the Bible say was the meekest man in the Bible (not including Jesus)? How many languages has the Bible been translated into? 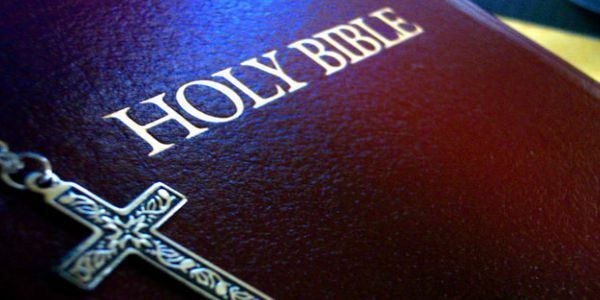 Is the Bible still the best-selling book in the world? You have probably heard someone call another person who has done something foolish, “A silly goose!” Well, I can tell you that geese are not silly! We can learn a lot from the goose. For example, I am sure that most of you probably know that when geese fly, they fly in a “V” formation. Have you ever wondered why the geese fly in a “V” formation? Recent scientific studies have given us the answer. It has been learned that as each goose flaps its wings, it gives a lift to the one immediately following. It has been determined that flying this way gives the geese about 70% more flying range. Of course, that means that the lead goose is working harder. When the lead goose gets tired, he falls back into the formation and another takes his place. Now, that’s team work! 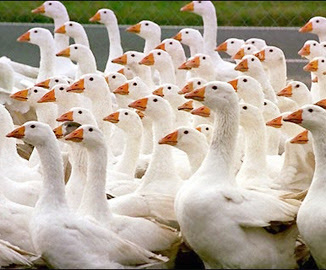 If you have ever seen a flock of geese flying, you have also noticed that all the time they are flying, the geese are “honking.” They do this to encourage one another. It is always easier to do something difficult when you know you aren’t flying alone, isn’t it? Sometimes, a goose becomes sick or is injured and falls to the ground. When that happens, two other geese go down and stay with it until it is well. If it dies, they join another formation and continue on their journey. Do you think the geese are silly? It sounds to me like they are pretty smart! What lessons do you think we could learn from the geese? We could learn that it is important for all church members to share the responsibility within the church rather than letting the same loyal ones work until they drop! We could learn that it is important to “honk” encouragement to other workers in the church. We could learn that it is important for us to look after those who are sick or in need. There is a lot that we can learn from the goose, isn’t there?